AJ Styles fought both competitors, leading to a disqualification but Daniel Bryan entered the scene and announced a Triple Threat match for Fastlane as the show went off the air. Two friends squared off for the change of becoming the new No.1 contender for AJ Styles’ WWE Championship. Kevin Owens and Sam Zayn have a history of extraordinary matches and they once again showed how good they are. Despite the match was interrupted by the Phenomenal One, it was a good spectacle for what it was. This match just delivered in every single way it could have with both men taking each other to the limit. 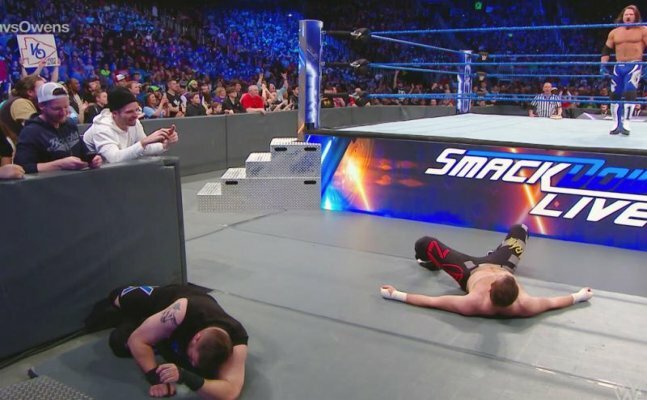 We wonder if we'll ever get a Kevin Owens vs. Sami Zayn match on a stage like WrestleMania.